Anti-Reflective coating is also known as anti-glare or AR, works by eliminating reflections of light from your lens surfaces. Without reflections, light can travel through the lens and reach the eye, creating a more natural image that is not obstructed by the lens surface. As a result, when you wear glasses with anti-glare, your eyes are more visible, lenses are clearer and you look better. Is adding Anti-Reflection coating worth it? Absolutely! Glasses with Anti-Reflective coating will always surpass the performance of glasses without it. It might sound like an up-sale strategy, but we guarantee this or your money back. Adding the coating is highly recommended for many beneficial reasons, the most important of which is better vision. Any lens coating will create an additional barrier between the lens surface and our surroundings. This ‘shield’ will vary in strength and depends solely on the quantity of layers applied to the lens and the quality of the material used. This is true with most Anti-glare coatings in the market today, but results vary substantially between different coating brands and courtiers of origin. We will elaborate more about this topic later on. Eliminate glare when you are driving at night. Driving at night with cars lights flashing in your eyes, with and without anti-glare. When you drive at night, you expose your eyes to increased glare from external light sources such as car headlights, streetlights, and LCD screens such as the ones used in our smart devices. The light from these sources hits our lenses, breaks, and generate light reflections that obscure objects’ locations, dimensions, distance, and other surrounding elements. This glare imposes a real danger, avoidable by simply adding anti-reflection treatment to your new lenses. This is one of the main reasons anti- reflective coating is included in all of our recommended packages. The Anti-reflection treatment applies multiple layers on the lens surface. Each layer serves a purpose and premium anti-glare coatings will have additional sealing properties such as hydrophobic (water- repellent); oleophobic (oil-repellent, for example - oils from our skin); and anti-static (making it more difficult for dust and dirt to stick to your lenses). Please note this Only true with premium anti-reflection coatings and can be tested by using a sharpie: Simply draw a line with a sharpie to see if the ink sticks or creates droplets on the lens surface. The smaller the droplets, the better are the cleaning properties of the coating. Any leftover ink can be removed easily with a rubbing alcohol. Overnight Glasses Offer several types of high-end anti-glare coatings. Premium Anti-Reflection: Armor. Included with every recommended package free of charge, our premium, superhydrophobic AR coating, has built-in UV protection, scratch resistance, and it is easier to clean. Additionally, this coating reduces eyestrain (compared with uncoated lenses) and objects appear visually sharper. Superior Anti-Reflective: Diamond Armor. With increased durability to scratches and outstanding scores with any anti-reflective properties, this is the best coating to date! We make Diamond Armor coating from high-end metal oxides, formulated (by Quantum Coatings Inc.) to create the ultimate glare and reflection shield. All diamond coatings come with 2 years warrantee for cracking and peeling. Blue light and eyestrain protection with Blue Diamond AR. Additional AR layers added in order to reflect blue light. Blue Diamond coatings improves further blue light protection when added to our office package. When tested, the coating received the top score in blue light blocking and preventing melatonin suppression. With this coating, you reduce eyestrain, and abnormal sleep-wake cycles that are caused by overexposure to blue light emitted by our electronic devices and florescent lights. This is highly recommended to get if you spend long hours (more than three hours daily) working on your computer or your smart device. 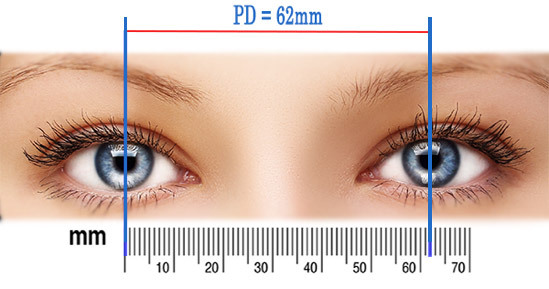 If you require substantial vision correction, chances are that you need a high index lens material. High index materials are thinner and lighter, making them the preferred choice for individuals with a high prescription. The issue is, the higher the index the more reflections: Reflected light interferes with incoming light, which results in reflection loss. Reflection loss is about 4% to 8% in low prescriptions, and can go as high as 20% for high prescriptions. Some factors - such as a car’s windshield - significantly increase reflection loss, causing reduced vision when we need it the most. For sunglasses. Backside glare reflects back into your eyes, circumventing your sun lens usability. The solution is to treat the backside of the lens with anti-reflection coating. This will create a one-way doorway for light to travel through when the sun shines behind you. Combining this method with polarized lenses has proven to get the best sun glare protection. For photochromic lenses. Photochromatic lenses such as Transitions ™, will always have some residual coloring when you move indoors from a sunny environment. When you add AR coating, you improve lens clarity and your eyeglasses will be clearer indoors. There are numerus patents and coatings’ formulas in the market today, but in general, the best way to treat a lens with anti-reflective coating remains the same. Good AR coatings will have 7 layers of coatings while more advanced coatings such as Diamond Armor will have 13. These layers are composed from different types of metal oxides (such as Titanium Oxide) that attach to the lens front and back surfaces using a vacuum AR coating machine such as the one we use by Leybold. Inside the vacuum machine, lenses are loaded into sized racks or domes that leave the lens surfaces open on both sides. A focused ray of electrons projects on designated cells, each contains a proprietary mixture of metals (also known as the formula) that as result burn (vaporize) and mix with the vacuumed surroundings. To apply evenly the microscopically thin coating, the racks will spin and flip 180 degrees to coat both the back and the front of the lenses. You might notice that some lenses have green or blue coatings. These colors directly related to the formula or types of oxides used. There is no definite advantage to have one color or another, and manufactures usually select a unique color that they can identify with their brand. Here at Overnight Glasses, we usually use green (also known as Hoya Green) or aqua blue. How do your coating compare with Crizal and Zeiss? Crizal and Zeiss coatings consider being one of the best coating companies in the world and our tests show Quantum coatings are very comparable. Overnight Glasses always aspire to bring you the best product for the best price. Our coatings tested by Colt Labs and reached top tiers for scratch resistance, easiness of cleaning and most importantly, anti-reflection.